Exquisite SWARN Bridal Collection in eco-friendly Linen. These elegant linens come in a soft ivory color and feature a band of golden threads painstakingly interwoven across the length on all four sides. A suitable gift for a special woman; A fabulous gift for the conscious bride. 100% Linen, exclusive of the golden weave. 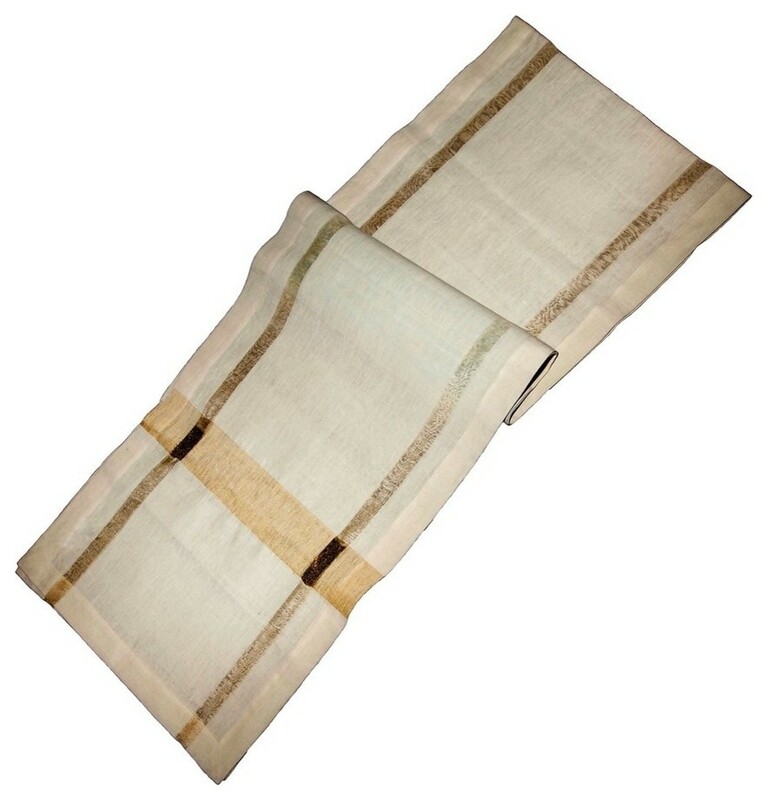 Hand-woven on a traditional wooden shuttle loom by an artisan in India of hand spun yarn. Hand dyed with botanical dyes. Our table linens are as eco-friendly as they are beautiful. Care: Machine was cold, never use chlorine-based bleach. Tumble dry low or air dry. If needed, iron when slightly damp avoiding golden 'zari' intersection." W 18" / D 0.1" / H 108" / 1.2 lb.